Our garden villas are used here as a stylish swimming pool house in the picture. The Garden villas have a glass roof or a closed tin roof. The three of them from the floor to the entire orange garden around the eaves are the backbone of fashion. 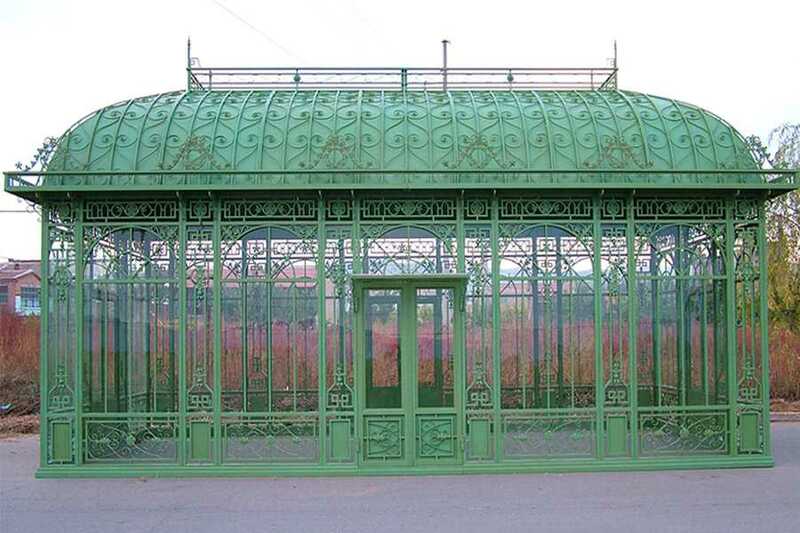 Of course, the Orange garden is completely galvanized, and then the powder is coated with the color you want. 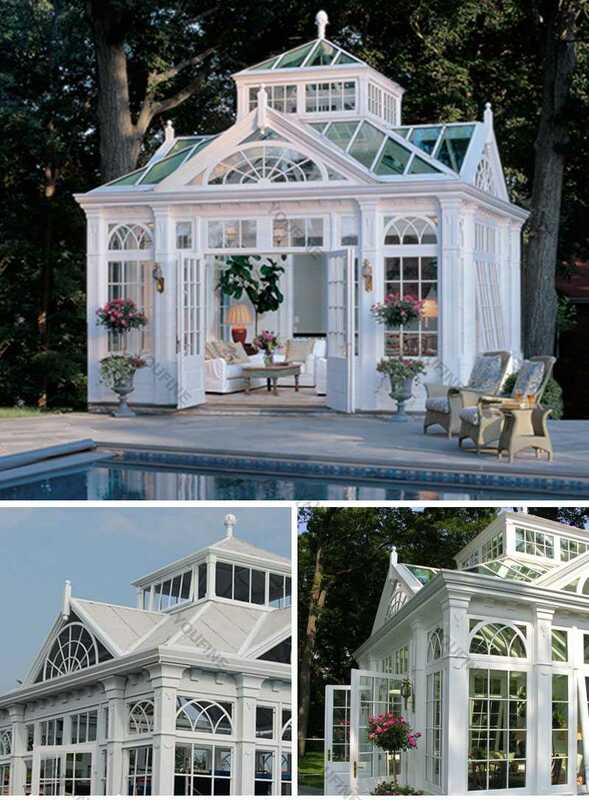 Our garden villa is used here in the pictures as a stylish pool house. 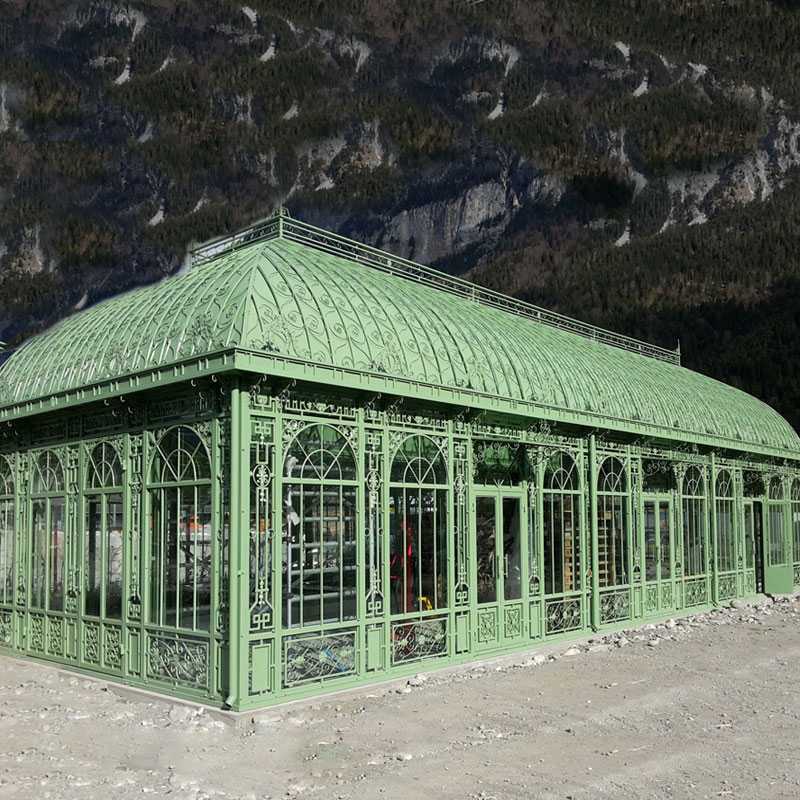 The Garden villa has a glazed roof or also a closed tin roof. The three of them have stylish pillars from the floor to the eaves around the entire orangery. 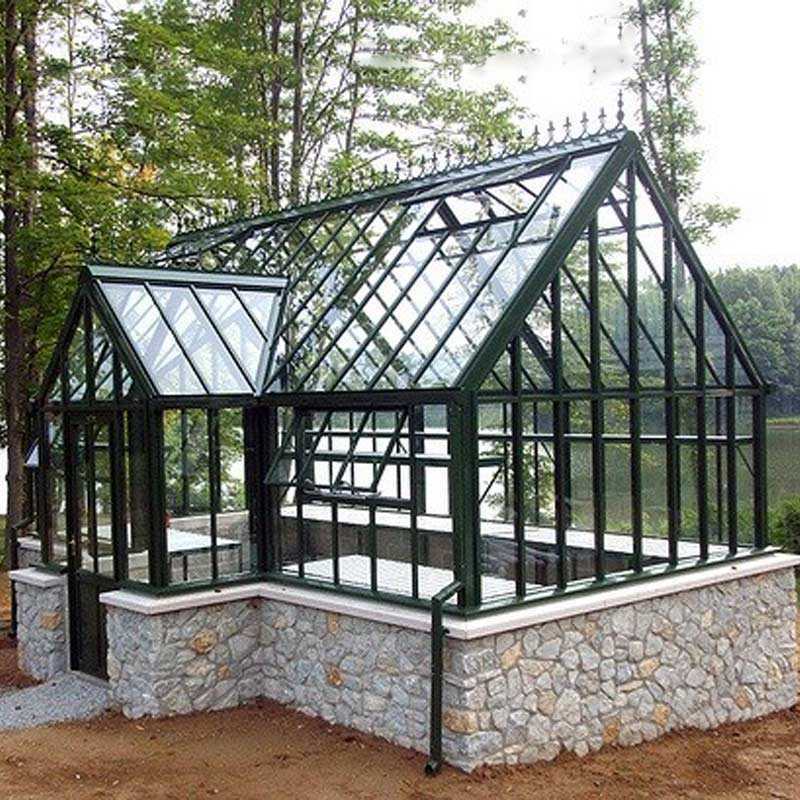 Of course, the Orangery is also completely galvanized and is then powder-coated in your desired color. This exceptional pool house has a large double door on the front. 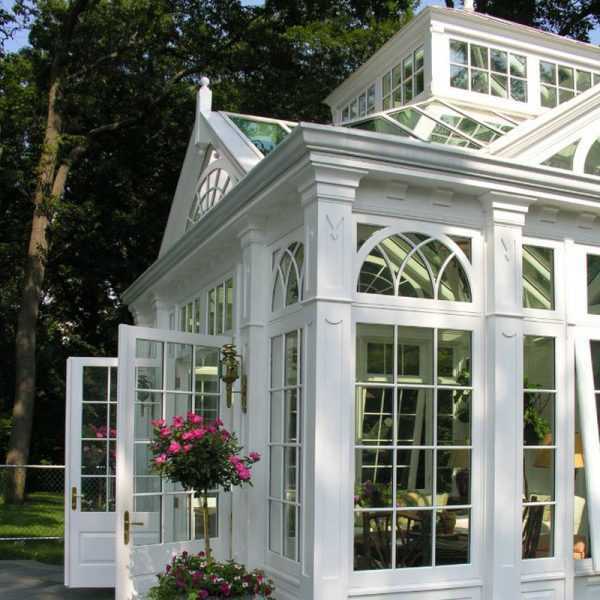 On the pictures The Orangery is pictured in size with the bottom size 550 cm * 550 cm and a height of 610 cm. 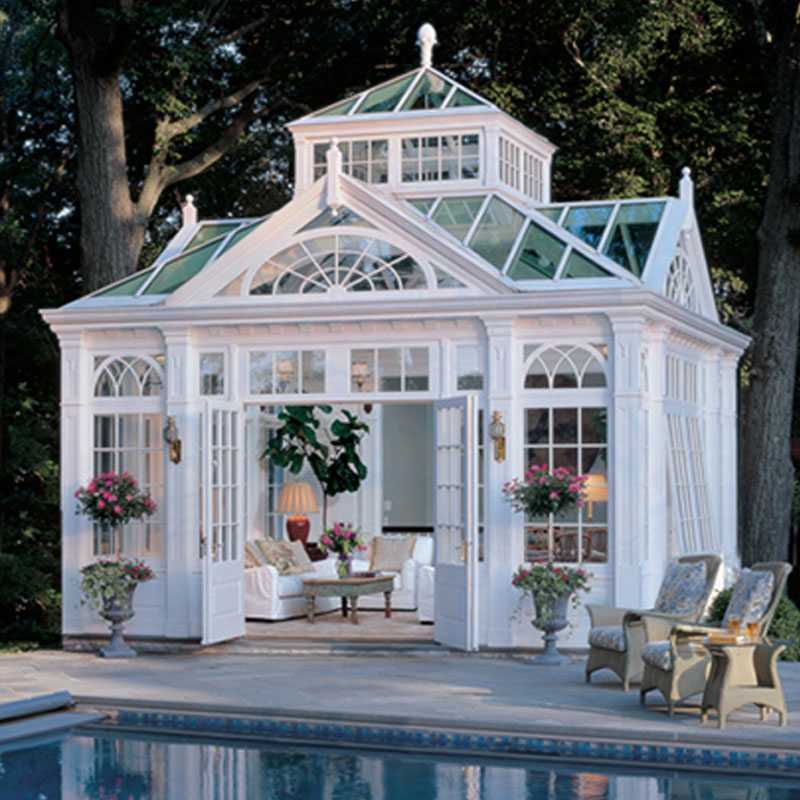 However, this orangery is available in several sizes. We will be happy to give you further information. 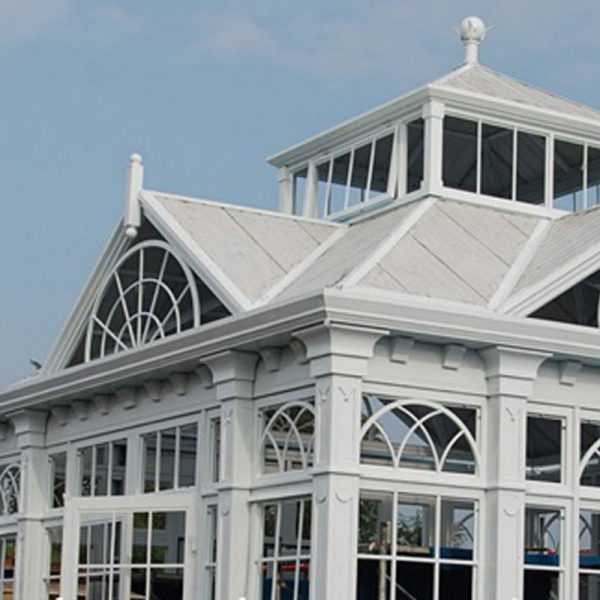 All our orangeries and greenhouses consist of a massive steel construction, which is galvanized and powder-coated with its desired color after production. 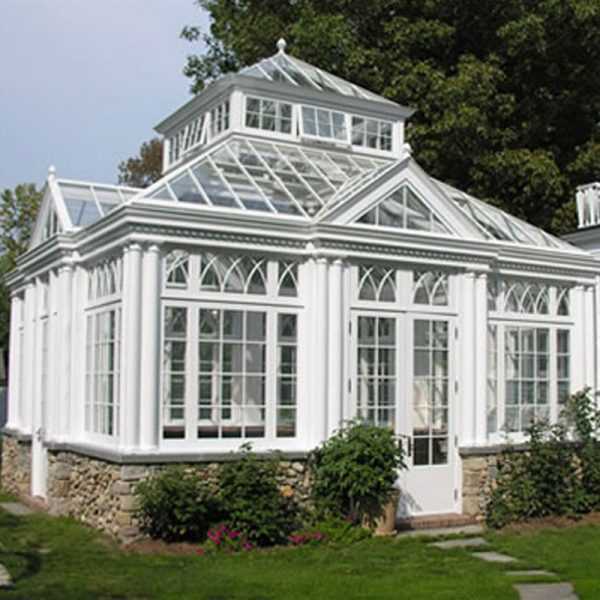 The orangeries and greenhouses are made up of various modules that can be combined, expanded and modified in any way. 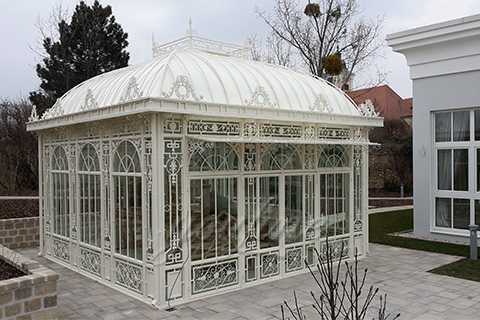 This makes it possible to customize your Orangerie/garden house according to your needs. Of course, a completely individual custom-made design is also possible.